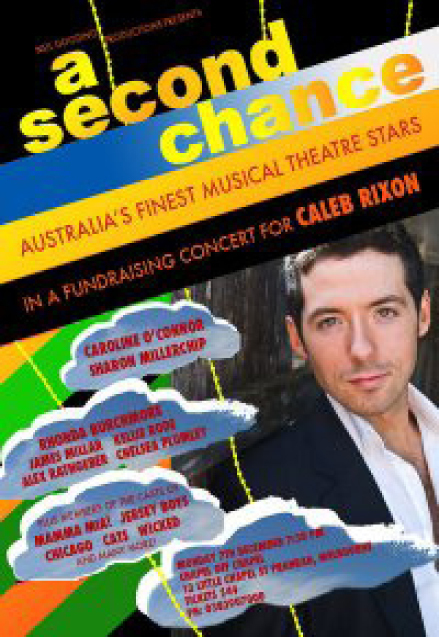 A Second Chance was a very special Charity Concert to Support Caleb Rixon. It was held on Monday the 7th of December at Chapel Off Chapel in Melbourne. 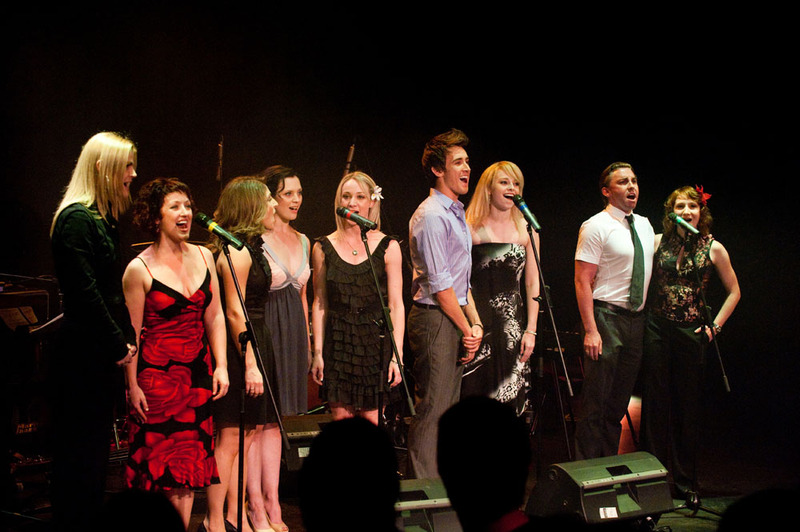 Some of the biggest names in Australian Musical Theatre are banding together to perform at a Charity Concert to support Caleb Rixon. 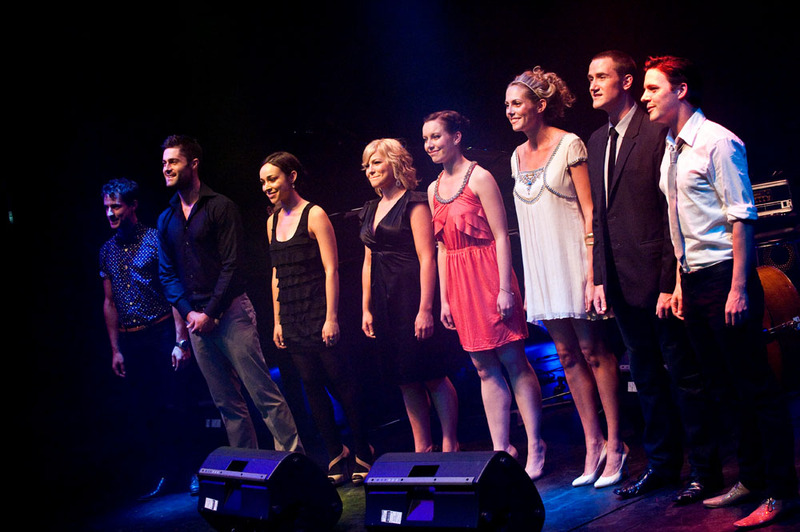 Caleb Rixon grew up in Geelong, graduated from WAAPA, had appeared in Altar Boyz and had just been cast in CHICAGO, when, on November 17th, at the age of just 23, Caleb suffered a Grade 5 Subarachnoid Haemhorrage (Stroke) due to a Dural Arteriovenous Malformation (DAVM- Cause of Stroke). What this indicates, is that he had the most severe grading, of a rare type of stroke, due to a tangle of arteries and veins that were weaving within the lining of his brain. He had many complications after being in a coma, on life support and in a highly sedated state. Since then, Caleb has had to re-learn how to walk, talk, swallow, see and breathe again. Ongoing treatments are often holistic in approach whilst he undergoes intensive rehabilitation. Caleb may require Major Surgery to help correct his paralyzed vocal cord, thus helping him achieve a more powerful speaking voice. A Second Chance celebrated Caleb’s amazing survival and resilient spirit and helped raise funds for his continuing rehabilitation. Well, Monday night this week saw Melbourne’s Chapel off Chapel literally packed to the rafters. Not a seat to be had. (Haven’t seen that in a while at that venue). It was for a fund-raiser. A fund-raiser for a young man who has spent too much time on life support for someone of his years. A young man who was about to share the stage in the recent production of Chicago. 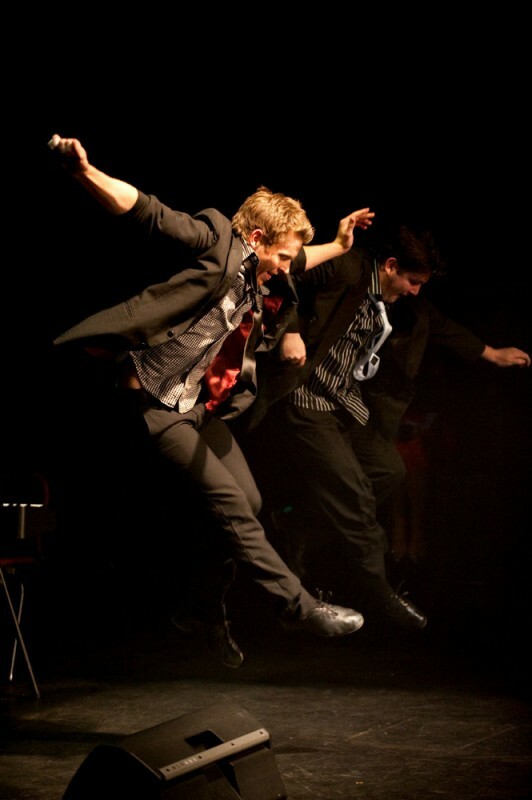 A young man who dazzled us in Altar Boyz. A young man whose family and partner have become ever known now as ‘Team Rixon’. Entitled ‘A Second Chance’, the evening was one of the most heartening shows of Music Theatre solidarity, support and love that I have seen in years. In many ways, it was a healing for all that were there. 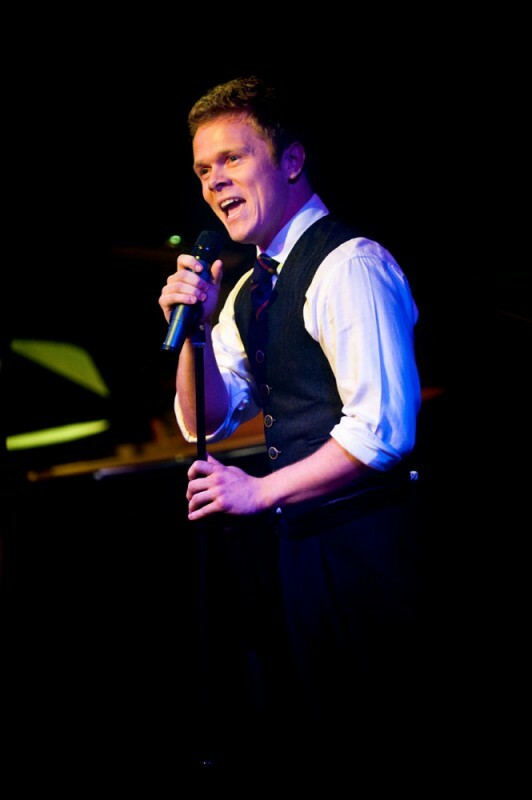 Caleb John Rixon, a Geelong boy, studied at the Ballarat Academy of Performing Arts for 2 years and then started all over again at WAAPA for a further 3 years Musical Theatre training. He graduated from the latter and walked into his cover role in the short-lived, Altar Boyz. On the night we had the ‘boyz’ into B@B, Caleb was actually there in his cover capacity. 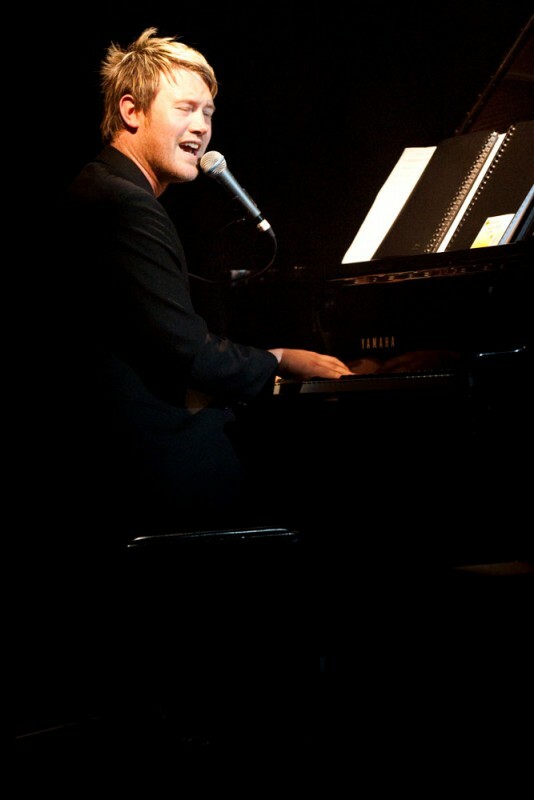 I also had the chance to see him onstage in the show. He had only just been cast in Chicago, when forces beyond his control subjected this gorgeous young man to his most difficult role. The ‘Who Am I?’ that follows a Grade 5 Subarachnoid Haemhorrage (Stroke) due to a Dural Arteriovenous Malformation. It was hours after his 24th birthday. During the course of the evening, we learned of the horrors that Caleb went through and his gradual reclaiming of his right to breath unassisted, the right to swallow, the right to walk and to talk. His right to remember. When we had him on Broadway at Bedtime to talk about the event, he spoke of reclaiming his memory. A few pieces of well-chosen data would re-ignite a dormant part of a scrapbook of a memory and somehow the pages would become unstuck and reveal a whole section of Caleb’s life that may have been locked, dormant, forever. As he said, “a work in progress”, his singing, is a most recent re-acquisition. And he did. A video was shown of the journey. Silence and sobs. Silence and sobs. That was all there was. Silence and sobs. 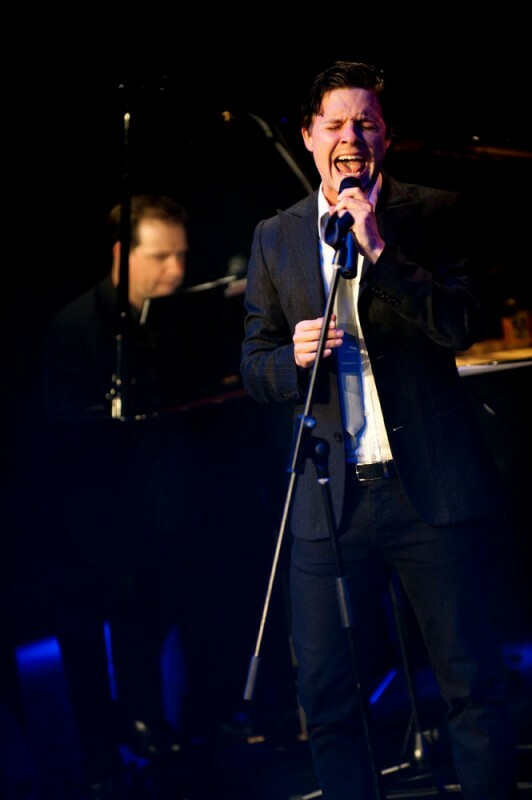 But Neil Gooding, with Caleb, put together a ‘Caleb’ration of Music Theatre excellence. 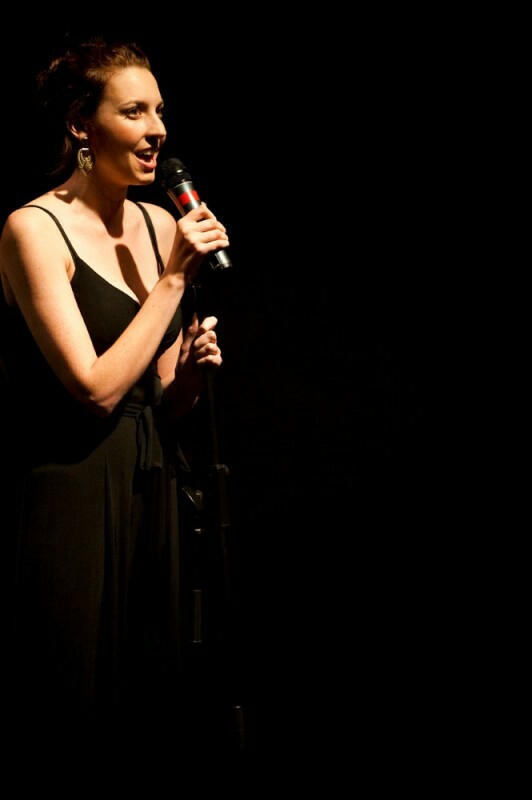 Chelsea Plumley looked at the jam-packed night ahead of her and MC’d it with humour at a cracking pace. James Millarbegin_of_the_skype_highlighting end_of_the_skype_highlighting sang the title song of the evening, written especially for the event. 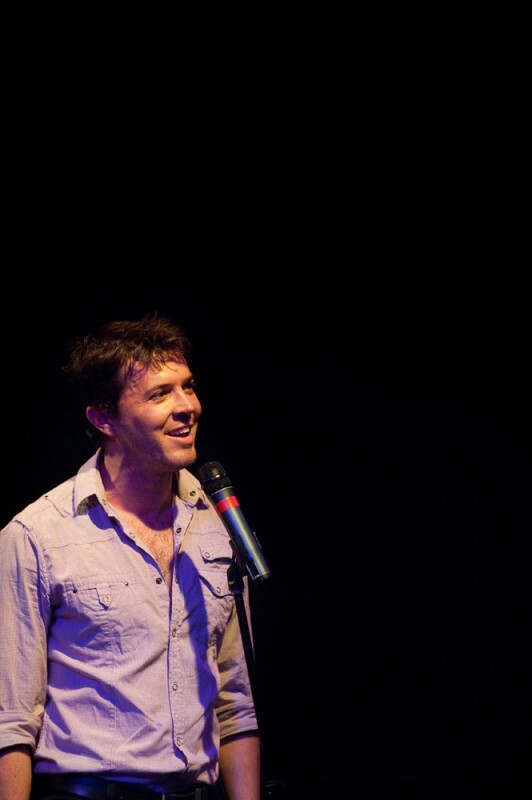 Gareth Keegan showed how moved he was by the entire scenario with ‘For Once In My Life’. 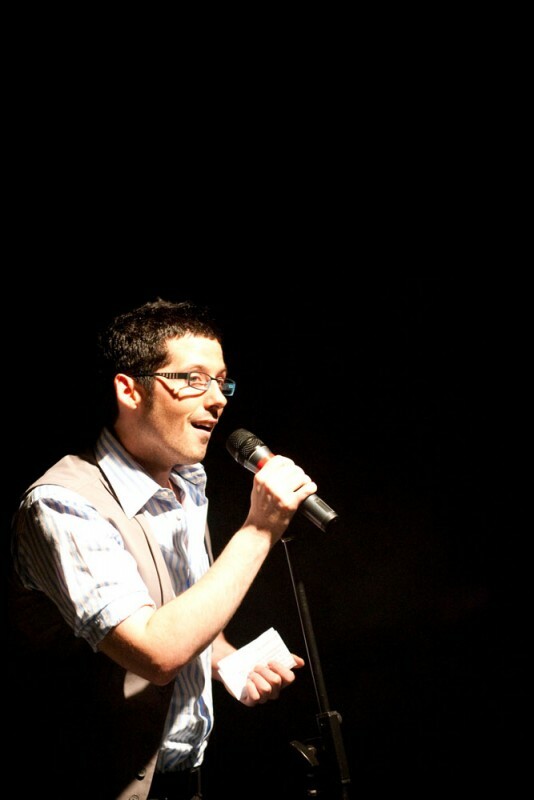 Matt Hetherington gave new tenure to the lyrics of ‘Home’ from The Wiz. 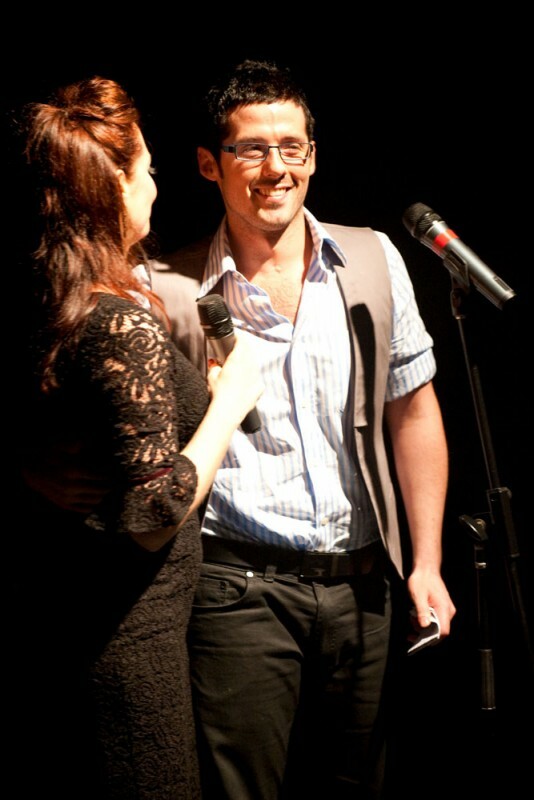 Altar Boyz cast mate, Cameron MacDonald joined with Suzie Mathers to hear the drums ‘Fernando’. Almost all the girls of Virgins got together to ‘Connect’. 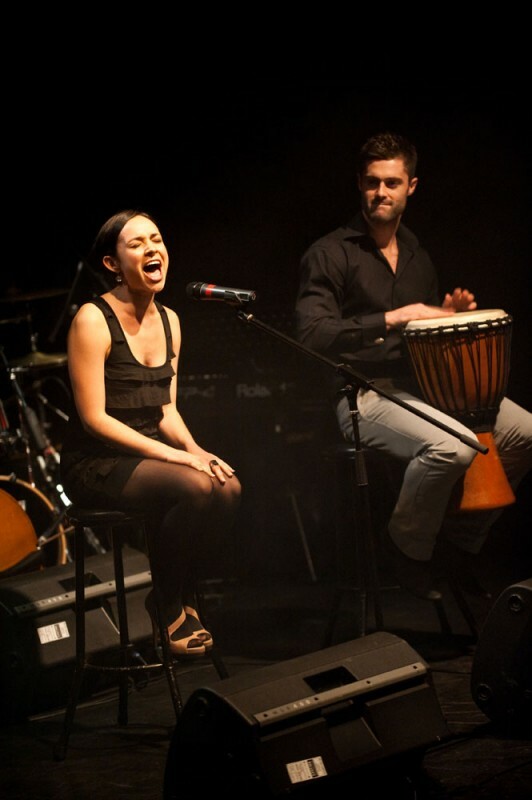 Christie Whelan – God I love that girl – gave us a snippet of her comic command with ‘Lucky’ from Tegrity. 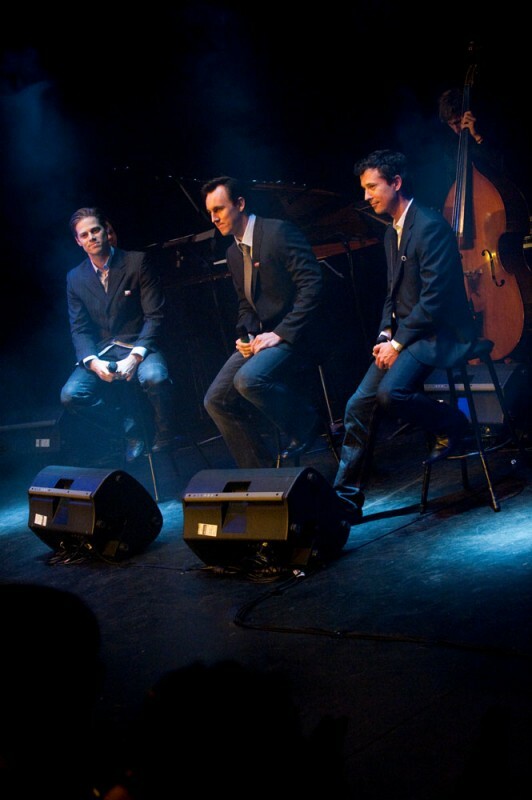 3 of the Jersey Boys sang ‘Not Perfect’, perfectly. Caleb’s graduating year did a moving ‘Over The Rainbow’ – Caleb’s absence from the line-up was crushing. 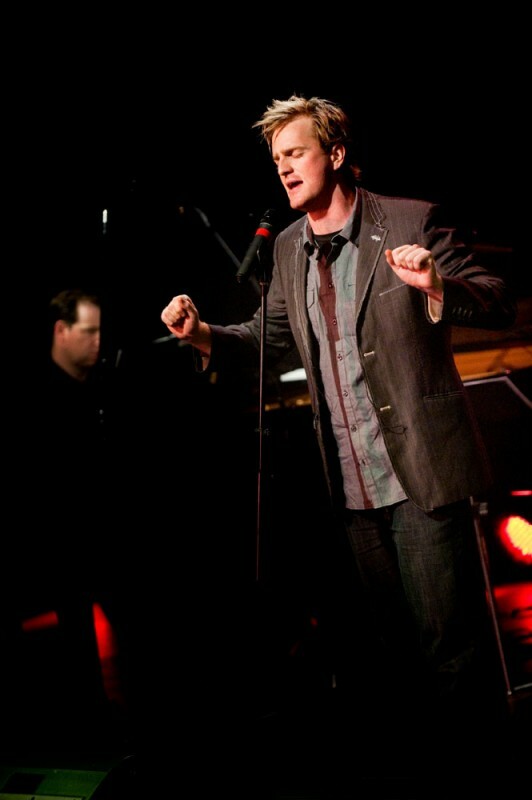 Eddie Perfect was. 2 of 3 Feet of Beat blew us away with an explosive tap routine. 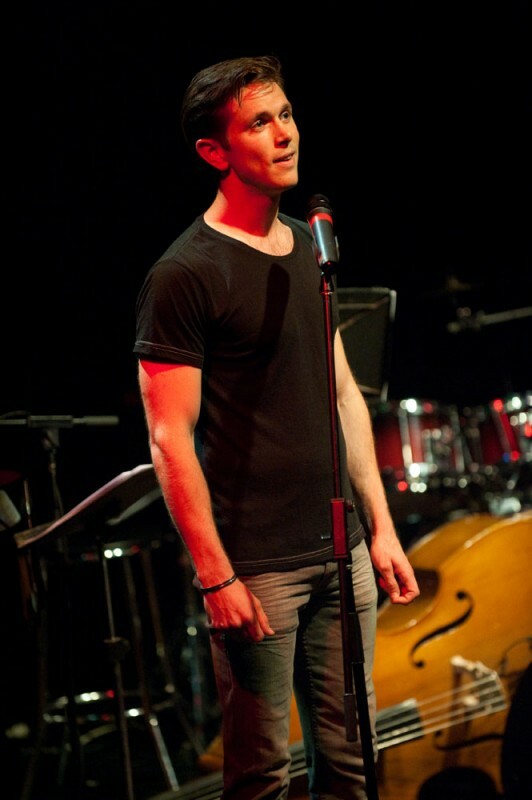 And Alex Rathgeber sang an original work by Bryant & Frank, ‘How Am I Me?’. Out to a foyer full of dazed faces. 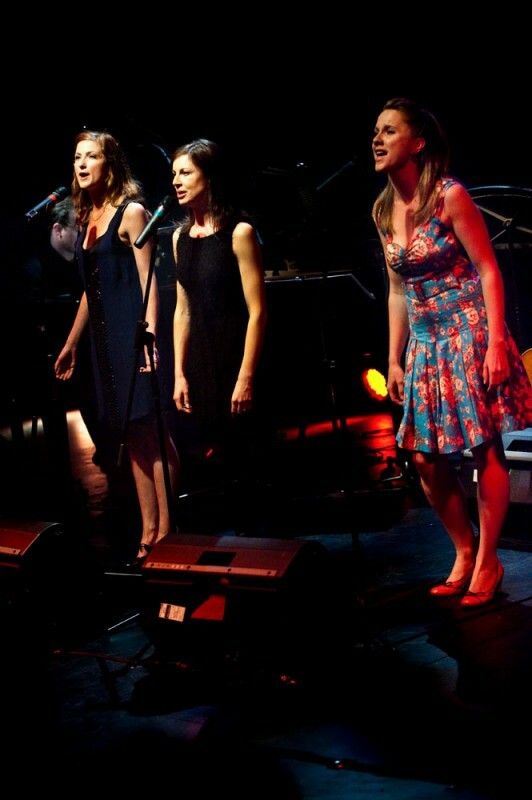 Members of the cast of Cats took William Finn’s ‘I Feel So Much Spring’ and we did. The inimitable, Chelsea Plumley took us on a journey with ‘Song For My Friends’. It just kept rolling out, Gemma-Ashley Kaplanbegin_of_the_skype_highlighting end_of_the_skype_highlighting, Tyran Parke, Kate Hanley. 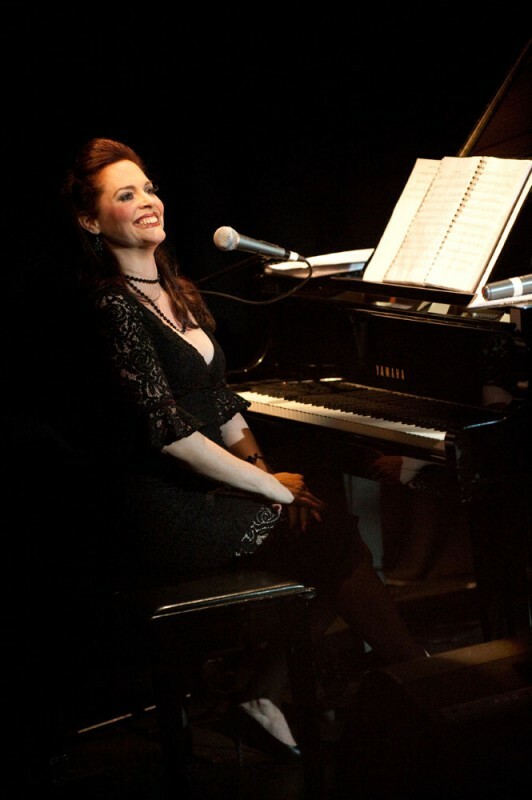 Rhonda Burchmore showed that nothing beats stage hours with her ‘I Am What I Am’. 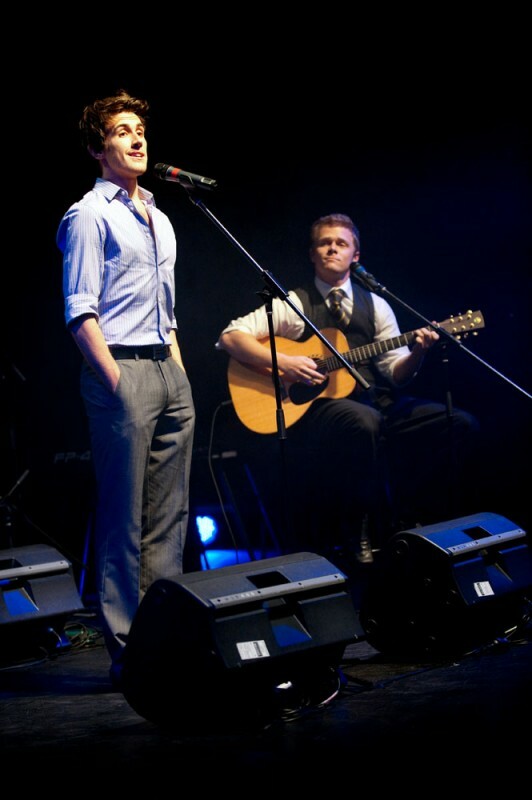 And then the tissues… Brent Dolahenty sang ‘I’m Yours’ for his man, Caleb. 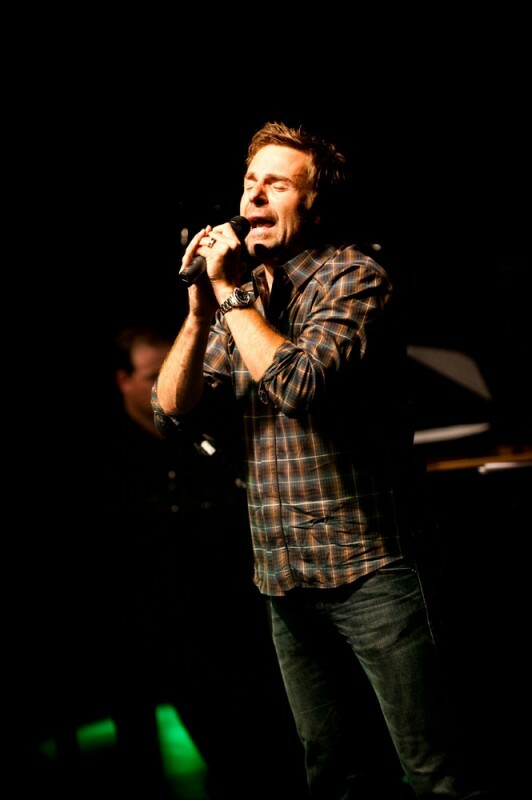 And then bloody Caleb had to go and sing, didn’t he? Well it was ALL of those things for the entire crowd assembled there at the Chapel. All of us new members of ‘Team Rixon’. It made you very proud of this industry of ours. May we continue to treat this industry just like that.